Misfortune doesn't inform you before making a visit, but you can make sure that at least your patients do. Organize your business effectively with PrintStop's medical appointment cards. 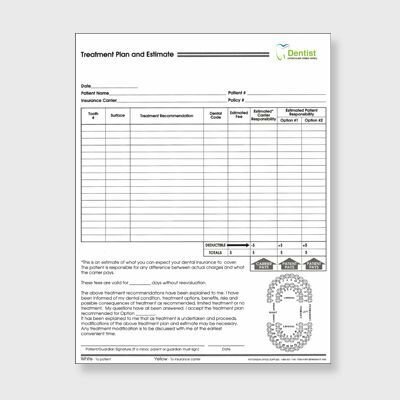 A tangible doctor's appointment card will help you schedule your appointments in a better manner. These small appointment cards can become good business tools for you. You will not only be in a position to allocate your precious time well, but also be able to promote your brand with these Customized appointment cards. You take care of us; we will take care of your printing needs. You don't need an appointment to get your Customized appointment card printed at PrintStop. The task is so much simpler. You don't even have to settle for whatever we have in store for you. We can even design a unique appointment card for you that will set you apart from the crowd. In getting your appointment cards printed, you can either upload appointment card design, or get cards designed from Pehchaan, our professional designers. Creativity knows no bounds at PrintStop so get appointment cards that reflect your and your patient’s unique needs in a bright and creative manner. 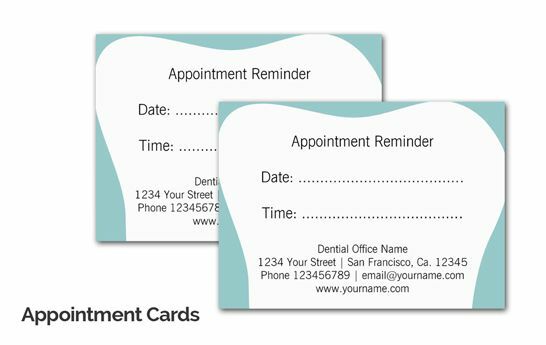 Appointment cards are very helpful for certain business owners such as doctor clinics, salons & spas, dental clinics and many more business organisations. These appointment cards are filled with many benefits. They help the client to recall about an important meeting or an appoinment in case he or she forgets the time. Especially, doctor appointment cards are the most useful. Sometimes, people forget the address of the clinic and the appointment card helps them find it. Also, there are many other benefits of your appointment cards. These cards indirectly advertise your business or clinics as there are your organisation's details imprinted on your appointment cards. This is because of customised appointment cards. With PrintStop, you can get customised appointment cards with your company name, brand logo and additional information like your contact details, clinic address and other treatments that you provide to your patients. We design personalised appointment cards for you that hold the ink so it isn't difficult for your patients to wirte something on the card. Our custom printed medical appointment cards are a great marketing tool for you as they're professional and help your patients use them as reference in between their appointments. Also, now you don't have to call your patients all the time to fix their appointments. We know your time is of great importance and we value your work. That is why we provide doorstep delivery to you. You can upload your own design of appointment cards online, but we would suggest that you get it custom designed from our design team 'Pehchaan'. You focus on healing people, we are here to provide you all printed products you need. 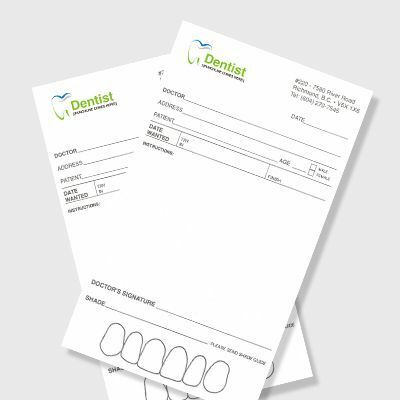 Our custom printed medical appointment cards are the best and of high durability.